made from delicious, healthy ingredients that will save your life in the morning when you don’t have time for anything. Ok, saving your life may be a bit exaggerated, but they are guaranteed to keep you in a good mood and keep you fed up until lunch. All you have to the night before is do bring all the ingredients (except the yogurt) to a boil and put them in the fridge overnight. In the morning you stir in the yogurt and either eat it at home or pour it into a glass and take it to work. 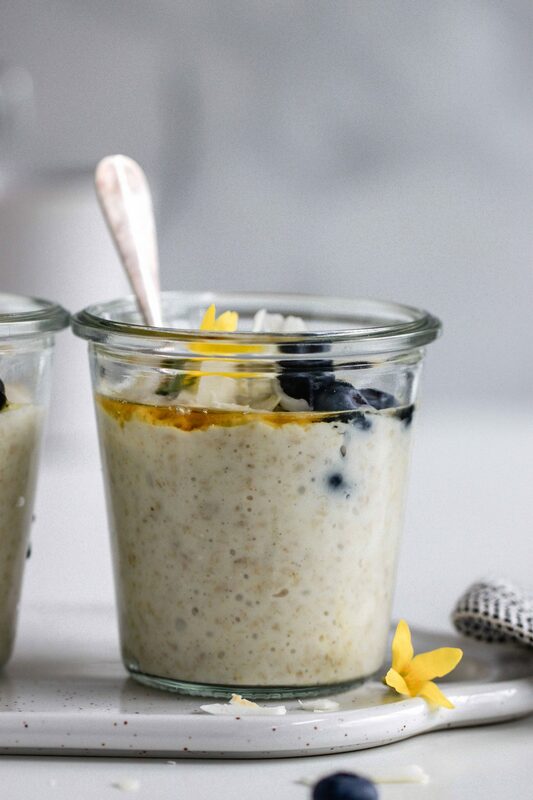 This recipe is one of my most favorite for Overnight Oats. 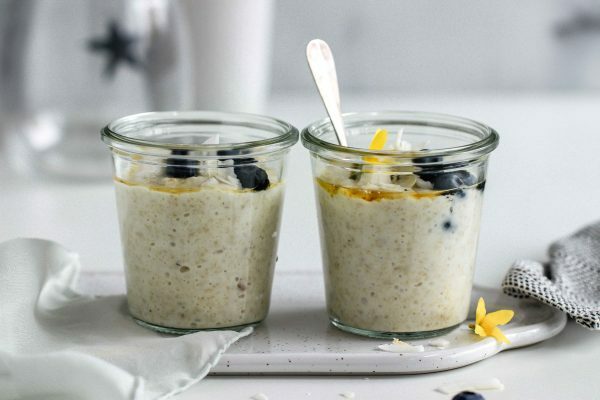 I like to use fine-leaved oat flakes because they provide an extra creamy consistency with the perfect ratio to the liquid ingredients. 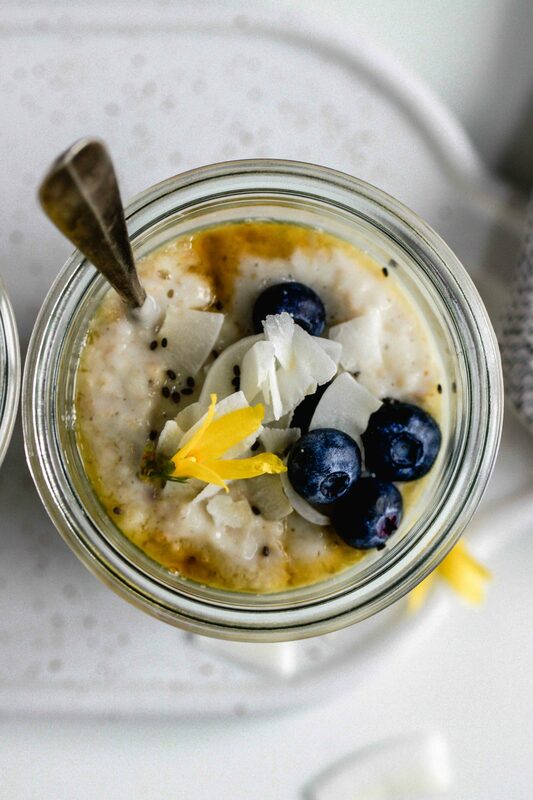 Another reason why I like these cardamom overnight oats A LOOOT (!!!) is because they are made so uncomplicated. Simply mix all the ingredients together and heat once. That’s it. By boiling the oats and set them aside overnight, they are made more tolerable for your stomach. Another plus! 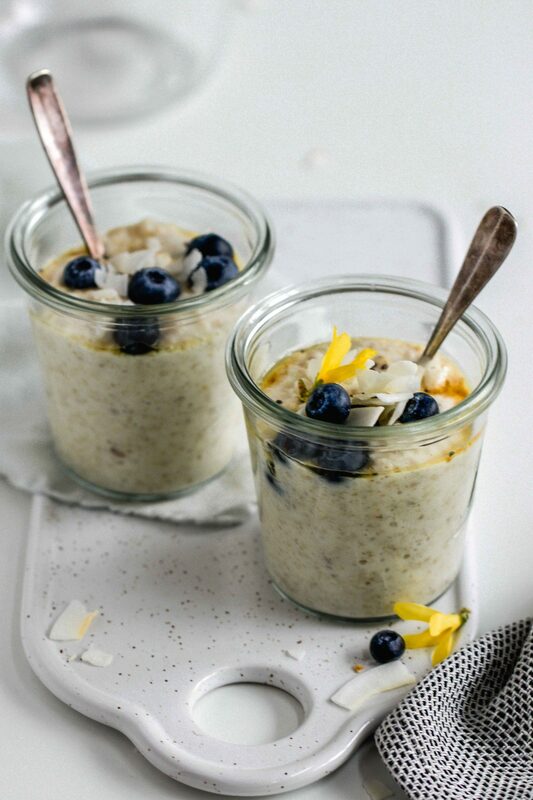 As mentioned above, cardamom overnight oats become creamiest when you use fine-leaved oat flakes. But any oats will work. The ratio of oat milk, water and yoghurt ensures that the oats become soft and almost melt on the tongue. 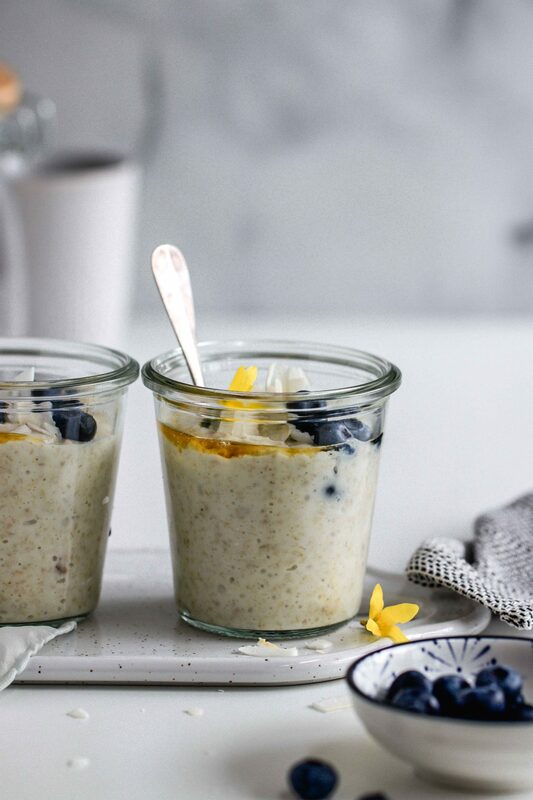 These creamy cardamom overnight oats are the perfect breakfast to-go. They are loaded with healthy ingredients and keep you fed up and happy until lunch. Put oat flakes, oat milk, water, cardamom, maple syrup and salt in a pot. Bring to a boil once. Switch back to medium heat and simmer for another 2-3 minutes. Remove from heat and allow to cool briefly. 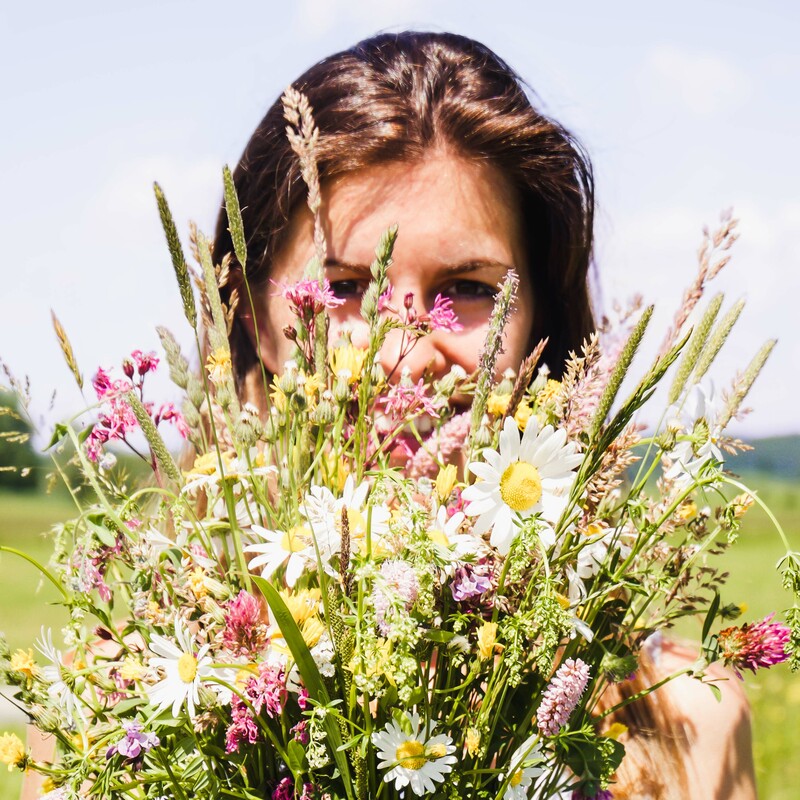 Pour into a bowl or jar and place in the refrigerator for at least 4 hours or overnight. Stir in the natural yoghurt before eating.